IT’LL BE HARD to beat 2017’s light show of the year — courtesy of the solar eclipse, of course — but as the winter holidays draw nigh, you’ll have your choice of any number of illuminating events. Stick close to home or venture as far as Jekyll Island on the Georgia coast, about five hours away if you set your cruise control to 60 mph. Um, right? Jekyll offers a Tour of Cottages, twinkly twilight tours and an ice-skating village. Here are a few other options (in alphabetical order), whether you’ve been naughty or nice. We’ve broken them down in a couple of user-friendly ways: when the lights come on, “watt” it costs and what to know before you glow. Enjoy. 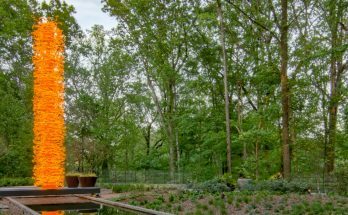 Mother Nature, natch, stars in “Nature’s Wonders,” a thousand strands of light suspended from the tops of the Storza Woods’ hardwoods and the 30-acre Midtown site’s canopy walk. The lights, with synchronized music and sound, are meant to evoke the planet’s phenomena — ocean waves, thunderstorms, snowfalls and meteor showers. Go to the great lawn for “Orchestral Orbs” and giant candles. Take the Tunnel of Light and bathe in cool hues of green, blue and teal. Restaurants and s’mores-making stations are open late, so you can nosh between your oohs and ahhs. LIGHTS ON: Nov. 11-Jan. 7. 5-10 p.m. Sunday-Thursday; 5-11 p.m. Friday-Saturday. 1345 Piedmont Ave. NE. 404.876.5859. WATT IT COSTS: $14.95-$34.95; $5 less for Garden members. Premium, flex and value tickets available online. Deck parking is $5 weekdays; $10 on weekends or $5 for carloads of four or more. Details, tickets HERE. KNOW BEFORE YOU GLOW: Piedmont Park shares the parking deck, so consider taking MARTA (Arts Center station) or another means of transport, especially on weekends. 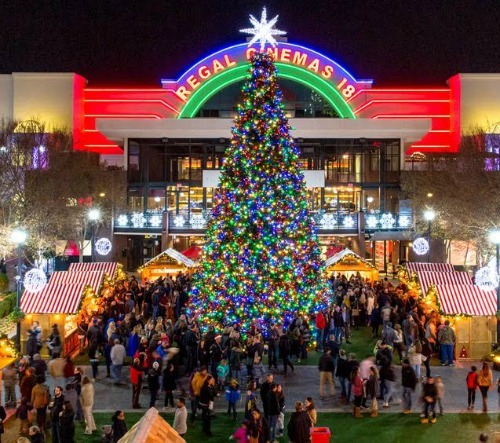 The centerpiece at Atlantic Station is a 50-ft. tree. You’ll find 250,000 lights in an eight-block chunk of this live-work-play bright spot in Midtown. Nightly snowfalls are promised, plus ice-skating and an open door to Santa’s cottage in Central Park. There are plenty of places to snack and shop here (don’t miss the German Christkindl Market for gifts from Deutschland). LIGHTS ON: Nov. 18, beginning at 8 p.m. with a parade and the lighting of a 50-ft. tree. Snowfalls at 6 p.m. Monday-Thursday & Sunday, and hourly (beginning at 6 p.m.) Friday-Saturday. Through Jan. 1. Find Atlantic Station off 17th Street, west of the Downtown Connector. Map it HERE. WATT IT COSTS: Free self-parking for the first two hours. Valet parking available. White lights snake through the gardens at Barnsley Resort in Adairsville. Visit the 1840s — an era that saw five U.S. presidents, Conestoga wagons and the birth of baseball — at this storybook English-inspired village and garden in Adairsville, about 90 minutes northwest of downtown Atlanta. 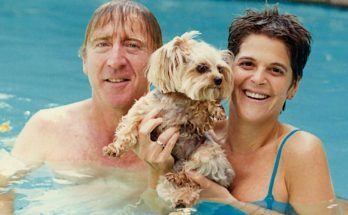 The estate was built by Godfrey Barnsley for the love of his life, wife Julia. Today, it offers fine cuisine, golf, a sporting club, a spa, horseback riding and plenty of nature. 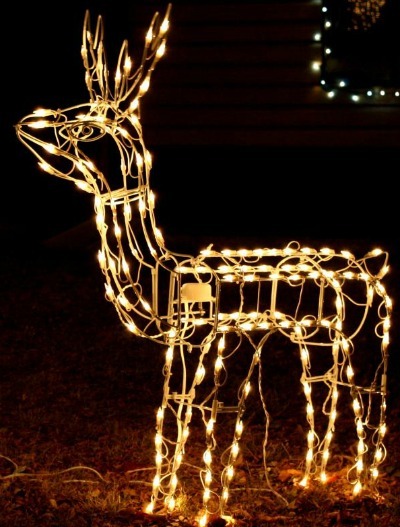 The place will blaze with hundreds of lights at the historic Manor House Ruins, the gardens and surrounding village. LIGHTS ON: Nov. 24-Jan. 7. Until 8 nightly, 597 Barnsley Garden Road, Adairsville. 770.773.7480. Map it HERE. WATT IT COSTS: Self-guided garden tours $15; $10 for senior citizens and students; under 12 and overnight resort guests free. Depending on when you go, parking may be as much as $20. KNOW BEFORE YOU GLOW: The gardens do close occasionally for private events, so check before you go. 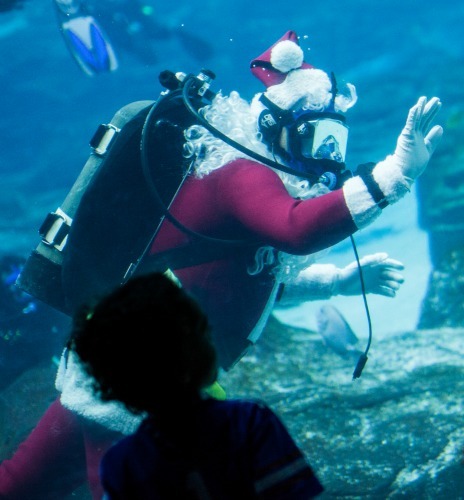 Holidazzle lights, music and Santa in a wetsuit. All are part of the season in the aquarium’s plaza and gallery areas. Splashy special events in the Ocean Ballroom include a holiday-themed Toddler Time (Dec. 4) and Breakfast With Santa (Dec. 16). 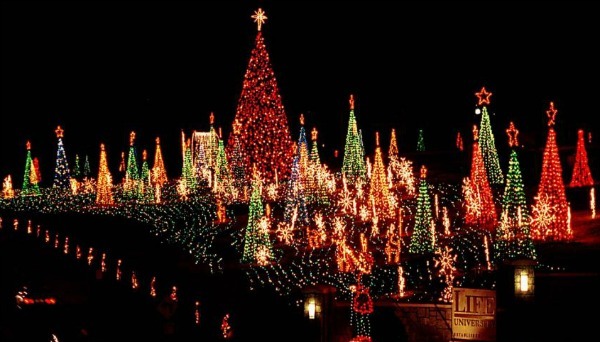 LIGHTS ON: Nov. 18-Dec 31 (hours vary so check the website HERE). Park at 357 Luckie St. Nearby MARTA stops include the Georgia Dome/GWCC/Philips Arena/CNN Center station, the Civic Center station or the Peachtree Center station. 404.581.4000. WATT IT COSTS: $31.95; age 2 and under free. Discount/combo tickets HERE. KNOW BEFORE YOU GLOW: Prepay for parking online and get $1 off the $10 fee. A Woodstock city park by day, a walk-through wonderland by night. Holiday Lights of Hope features a 30-ft. Christmas tree and 17-ft. tall reindeer that spring from among its million-plus lights. Also here: a 120-ft. tunnel of lights, holiday backdrops for photo ops, a Christmas maze, carolers, games, bounce houses and a spot for making s’mores. 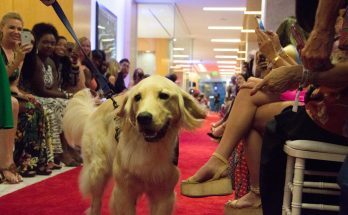 The event benefits the Anna Crawford Children’s Center, a nonprofit that serves families and victims of child abuse. Woodstock’s Holiday Lights of Hope benefits a nonprofit that serves families and victims of child abuse. LIGHTS ON: Dec. 7-23, at 6 nightly. Hobgood Park, 6688 Bell’s Ferry Road, Woodstock. No phone. Details HERE. WATT IT COSTS: $10; age 14 and under free. 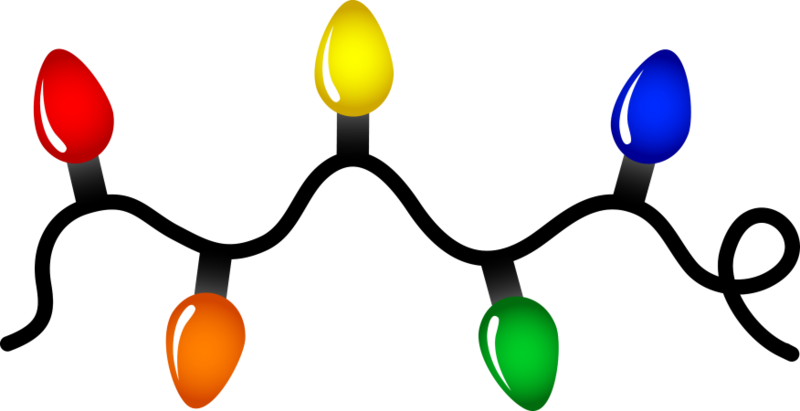 KNOW BEFORE YOU GLOW: Lights of Hope fills four fields with events, activities and lights, so smart revelers will wear comfortable shoes. 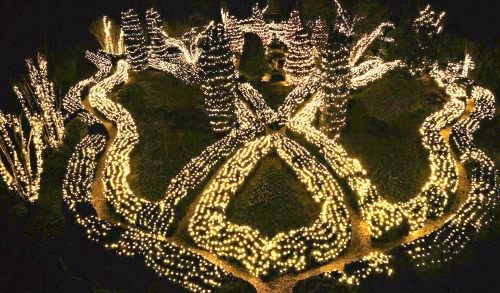 A million bulbs across a mile of the Life University campus have made this Marietta display, now in its 28th year, a seasonal tradition for lighting bugs. The 65-ft. tall Santa is one of the largest jolly giants in the Southeast. There’s also a menorah and Nativity scene. Drive through the display or park and walk. While on foot, let the kids take a train or pony ride and/or visit the petting zoo. LIGHTS ON: Nov. 23-Dec 31. 6-9 p.m. Monday-Thursday; 6-10 p.m. Friday-Sunday. 1269 Barclay Circle, Marietta. 78.331.4342. WATT IT COSTS: $10 per car on weekends, and opening and closing weeks. $5 other evenings. $20 per bus every night. Children’s activities $3-$5 each. Updates and more details HERE. KNOW BEFORE YOU GLOW: Don’t let your ho-ho-ho get hijacked by long entrance lines. There are two ways to get in — one on Cobb Parkway, another across campus on South Cobb Drive. If y’all want to Yule at a working farm with Comet and Cupid (real reindeer), Pettit Creek in Cartersville is the place to go. The laid-back spot, about 84 minutes northwest of downtown Atlanta, includes a petting zoo with zebras and emus, and concessions that include hot chocolate and warm cider. See the sparkle from your windows or hop on a hayride. Santa is on-site Thursday-Sunday. Weekends feature a live Nativity. You can even grab a freshly cut Christmas tree. LIGHTS ON: Nov. 23-Dec. 30. 6-9 p.m. Sunday-Thursday; 6-10 p.m. Friday-Saturday. 337 Cassville Road, Cartersville. 770.386.8688. Directions HERE. WATT IT COSTS: $15 per car; hayrides another $12 per person (free for babies that are held). Group rates available. More details HERE. KNOW BEFORE YOU GLOW: Planning a hayride? Bring blankets. USA Today puts Stone Mountain Park on its list of the 10 best places to see Santa (he arrives via parade on select dates). 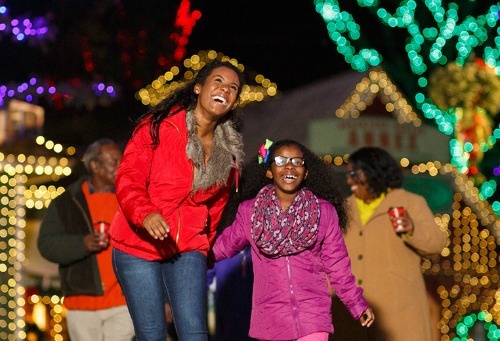 While you wait, take in the park’s 1 million bulbs (hung throughout the Christmas village), the special effects of the Skylight Spectacular, the tunnel of lights that creates Wonderland, a sing-along train, a 4-D Christmas movie and familiar characters at Rudolph’s Merry Meet and Greet. LIGHTS ON: Nov. 11-Jan 3. 1000 Robert E. Lee Blvd., Stone Mountain. 800.401.2407. WATT IT COSTS: $31.95 and up. Christmas Adventure passes available. Some are combo tickets; some include all-day activity access. Details HERE. KNOW BEFORE YOU GLOW: Reservations required for events. $15 parking permit or $40 annual pass needed to enter. Still in the dark? Don’t be. 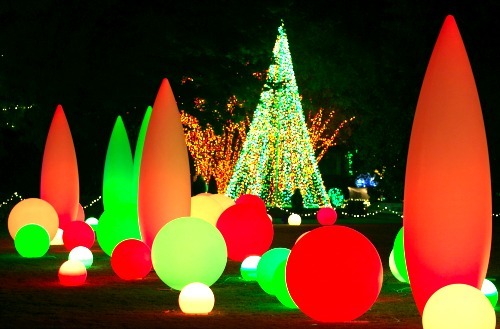 Other options include Lake Lanier’s Magical Nights of Lights, a seven-mile glow show; Christmas at Callanwolde, with a 23-ft. tree and 37 billion color combinations choreographed to holiday classics; and Callaway Gardens in Pine Mountain, famous for its 8 million twinkles. Do you have a favorite light show? Email us, and tell us why: kathy@EncoreAtlanta.com.